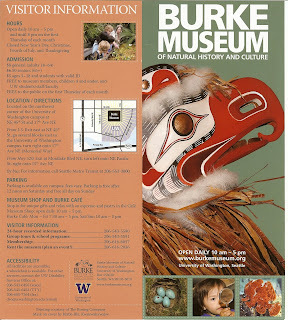 The Burke Museum of Natural History and Culture is located in the north end of the University of Washington campus. Today I spent a few hours there looking primarily at the two long term exhibits Life and Times of Washington State and Pacific Voices. I was impressed by the Life and Times exhibit because it takes you from about 450 million years ago to present day and along the way shows you fossils and discusses geology. For me, the most interesting fossils were the full size mastodon (Mammut americanum) and the giant sloth (Megalonyx) called the Sea-Tac sloth. 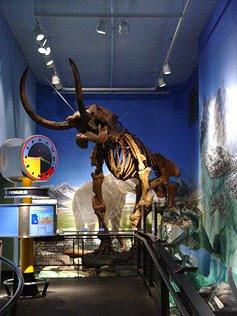 The later fossil is 12 feet long and was discovered in 1961 during work for the Seattle-Tacoma International Airport. The Life and Times exhibit also does a good job of introducing you to Washington’s geologic history. By the end you might have a better idea of what the channeled scablands are and where the Palouse grasslands are. How old do you think the Cascade Range is? Surprisingly, they are not that old, only 5-7 millions years old. In the Pacific Voices exhibit there a lot of cultural things to see, but the one I’ll mention that I thought was the coolest was a Marshall Islands stick chart such as the one pictured here. They are typically made of coconut frond midribs with island locations represented by shells. The charts are interesting because they represent ocean swell patterns and how islands disrupt those patterns. The Douglas-Fir – What’s in a name?